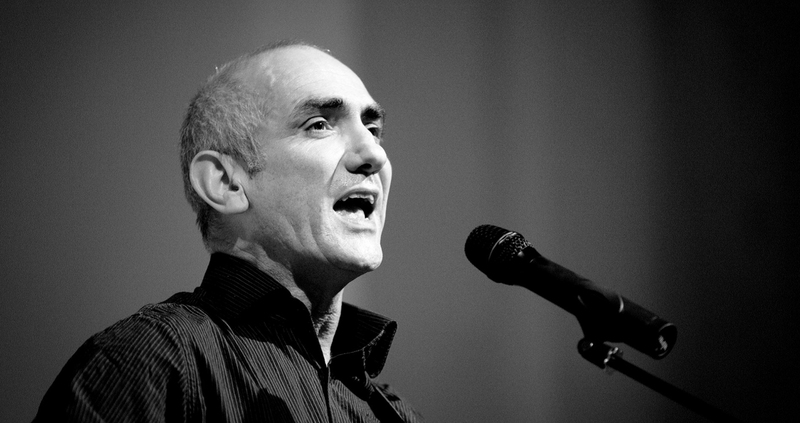 Australian folk rock legend Paul Kelly returned to New Zealand in early 2013 to perform two intimate and sold out concerts at Auckland’s Holy Trinity Cathedral and Wellington’s Old St Pauls. Paul made his way through his large and outstanding songbook, accompanied only by his talented nephew Dan Kelly. Just two days after wrapping up his Australian tour with Neil Finn at the Sydney Opera House, Paul Kelly began his brief New Zealand tour in Dunedin. Now, on Saturday night in Auckland, he and his guitar-playing nephew Dan Kelly took over the Holy Trinity Cathedral to showcase his new album and run through some old favourites. First of all, I have to say it was a stroke of genius to hold the concert at the Holy Trinity Cathedral. This was my first time inside the building and it is a stunning setting for a show. And, with so many other concerts happening in places like The Powerstation, The Vector and The Bruce Mason Centre, the change of view and atmosphere was a welcome relief. Paul Kelly had previously performed in Auckland just two years ago when he held down a four-night stand at the Town Hall on his A-Z tour. Having run through most of his back catalogue then, it’s no wonder that he wanted to play some new music this time around, so we were treated to his latest album, Spring And Fall, in its entirety. “Relax, they’re all pretty short song, it’ll only take 36 or 37 minutes,” he assured the audience, but he needed have been concerned as the album, a “song cycle” which tells “a love story from beginning to end” is among his best work. The 58-year-old Kelly has always been an exceptional songwriter, and as he has matured so have his songs. So Spring And Fall, taken as a whole is poignant, romantic, angry and moving with words and music married as only a veteran song-crafter can. Speaking of words and music, Kelly began the second portion of the show with Saturday Night And Sunday Morning the cheerfully romantic tune from his 1998 album, Words And Music. From there Kelly cherry-picked old favourites from as far back as 1985 (Little Decisions) to his 2007 album, Stolen Apples (The Foggy Fields Of France). Paul invoked the memory of his late guitarist Steve Connolly during 1986’s Before Too Long, with Dan Kelly providing excelling guitar and vocal harmonies in place of the fallen musician. Halfway through the set, Paul brought on Neil Finn to give us a taste of what they had been up to in Australia. As it turns out they were singing each other’s songs. Paul proceeded to sing Finn’s Into Temptation, with Neil providing acoustic guitar and backing vocals. Then Neil sat down at the piano to play Paul’s (You Can Put Your) Shoes Under My Bed after telling a lovely little story about his mother. Neil Finn stayed around for two more songs, then the two Kellys wrapped up the regular set with God Told Me To (appropriate, given the setting), How To Make Gravy and Little Decisions. For the encore we got Paul’s ode to the cricket legend Don Bradman, which I felt dragged a bit (maybe because I’m not a cricket fan). Then Neil Finn came back on dressed in what could be described as an outfit that made him look like the Archbishop Of Tin Foil and helped out with Wintercoat and To Her Door. Paul Kelly closed out the night on his own, sending the crowd home with a gorgeous acapella rendition of Meet Me In The Middle Of The Air, made all the more enchanting thanks to the lyrics that evoke the 23rd Psalm. So, all-in-all, it’s been a pretty good week for live music in Auckland. Paul Kelly may not have quite the buzz factor of Neil Young & Crazy Horse, the thrilling rhythms of Santana or the dark undertow of Mick Harvey, but he is a wonderful storyteller and a songwriter who knows how to get to the heart of the matter.